The Mountain Lake Singing Tower is located near Lake Wales, on the highest land in Florida, and it is surrounded by 48 acres of beautifully landscaped grounds - The Sanctuary. 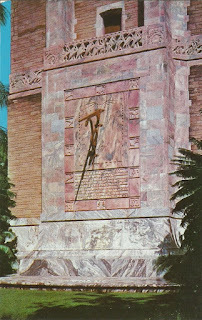 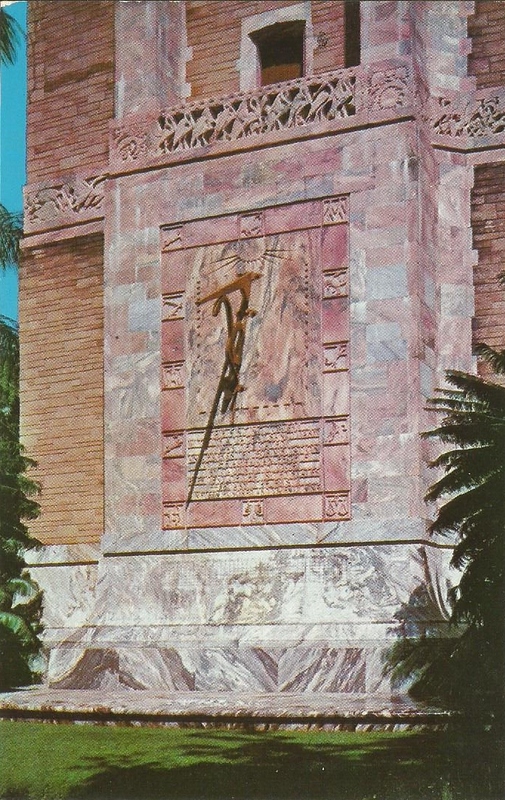 The Sun Dial which is found on the South Side of Florida's Beautiful Singing Tower. 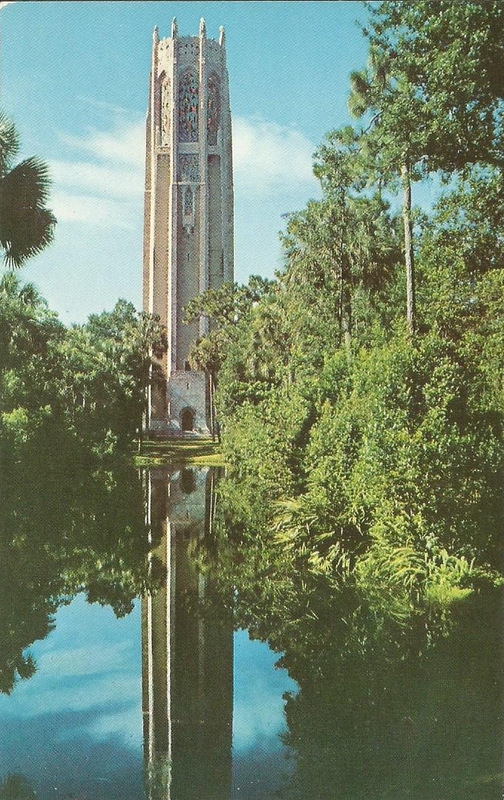 The Inscription reads "This Singing Tower with its adjacent sanctuary was dedicated and presented for visitation to the American people by Calvin Coolidge, President of the United States, February the First, Nineteen Hundred and Twenty-Nine. Marble steps lead to the huge door of hand hammered brass. 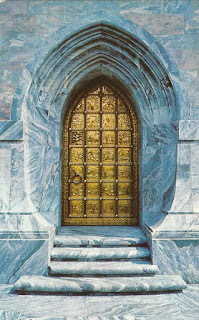 This door is composed of twenty-six separate pictures, depicting in brass repousse the Genesis story of the Creation, up to the expulsion of Adam and Eve from the Garden of Eden.